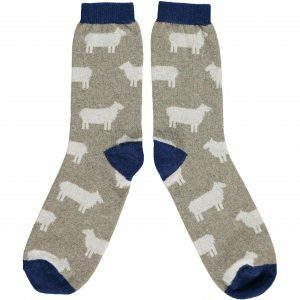 Category: Christmas, Socks, Father's Day, Gifts, Textiles, Woollen Favourites. Tags: lambswool, socks, stag. 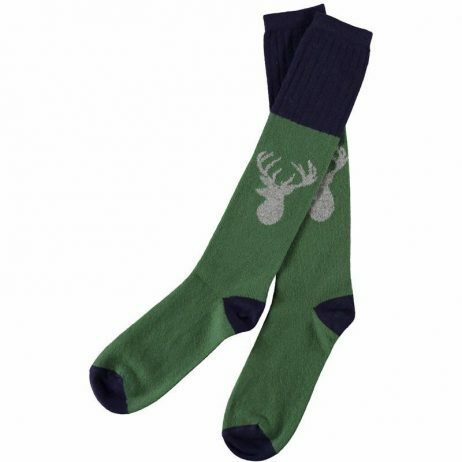 Stand out from the crowd with these beautiful lambswool stag knee socks which feature a characterful stag in mushroom on a green background. Finished with a navy trim on the rib, heel and toe, these socks fit snuggly just below the knee.